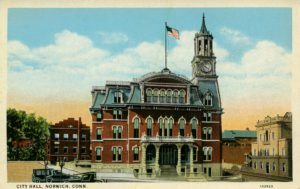 Designed by the local firm of Burdick and Arnold, Norwich City Hall has served as the seat of municipal government since its completion in 1873. 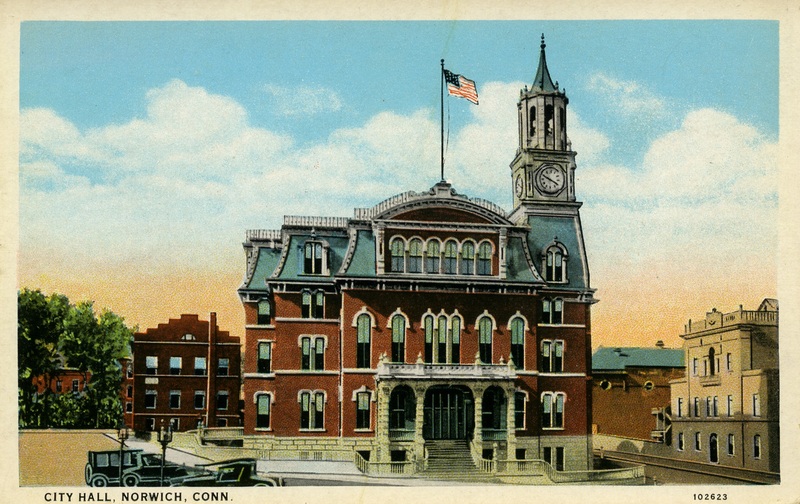 At the time, Norwich was the fourth largest city in Connecticut, and this monumental five-story edifice, dramatically sited on a hill, embodied the community’s importance as an affluent manufacturing center. The building’s ornate trim and joyful mix of stylistic features exemplifies the exuberance of the Second Empire style. 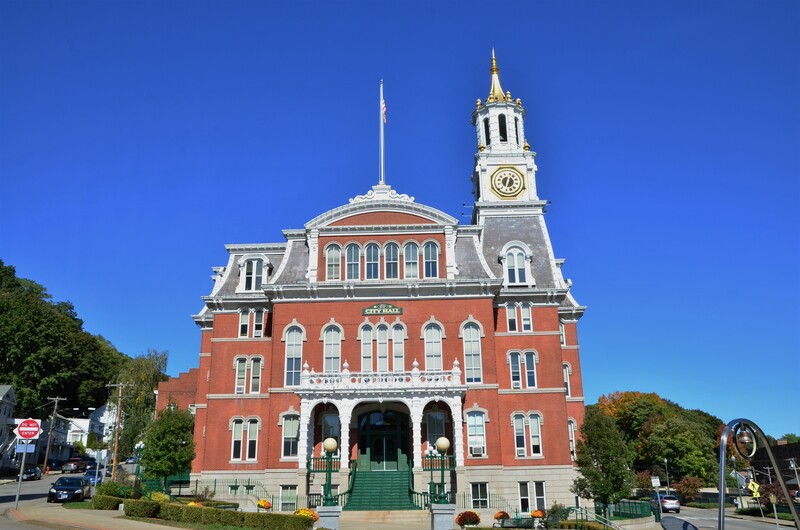 Its gilded clock tower—designed to hold a fireproof vault—rises eight seven feet high. 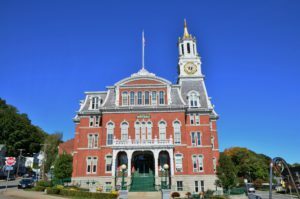 Look for the oversized bolts on the slate mansard roof and the elaborate foliated rails on the main staircase (reconstructed from parts of the original cast-iron railing, which continued around the building sides). 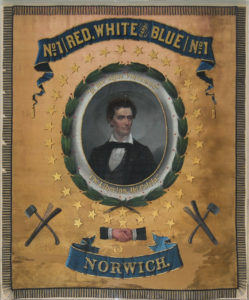 The red silk banner featuring a beardless Abraham Lincoln on the second floor was used in torchlight parades and campaign rallies by the Norwich Wide Awakes, a young men’s Republican club, to boost Lincoln’s presidential campaign in the fall of 1860. (Stop 12). 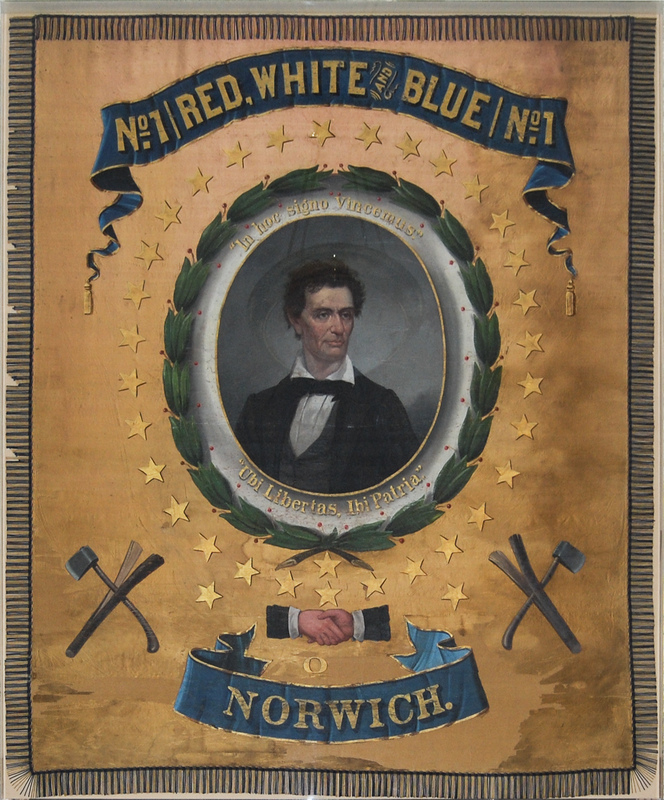 Lost for years, the Lincoln banner resurfaced in 1997, when it was purchased and restored thanks to the support of Norwich citizens.